Although, Dillard began to gain local notice for his musical skills in high school, he had been performing all his life. At five years old, he began directing the junior choir at St. Bethel Baptist Church. In 1984, Dillard joined the late Milton Brunson's Thompson Community Singers. At the same time, he started hanging out with renowned club DJ Frankie Knuckles and began recording dance and hip-hop records. Aside from a half dozen-guest appearances on various dance tracks, Dillard recorded his own album "Let The Music Use You" which was released in Europe and was imported into the United States . In spite of his growing success in the club market, Dillard says, "My heart was in the gospel. I always wanted to do gospel. The other stuff was just an opportunity to record. I wanted to bring a more contemporary style into gospel for choirs." It's those contemporary innovations in gospel that have caught Kirk Franklin and the Winans explaining their motivations to the more sanctified members of the church at times. "I don't criticize because I believe all music was created to praise God and all we're doing is taking back what the devil stole from us and using it to please God." Dillard says God led him to found the New Generation Chorale in 1988. The next year they won the McDonald's Chicagoland Choir competition. One day he met producer Butch McGee in a parking lot. McGee had heard of him and signed Dillard's group on their reputation alone. New G's first album "The Promise" was released in 1990 and won them a Grammy nomination and a GMWA Excellence award in 1991. The next year the choir was featured in Steve Martin's movie "Leap of Faith." By the time their second live album "A Holy Ghost Take Over" debuted in 1993, Dillard was a consultant on Whoopie Goldberg's "Sister Act II" movie and the choir had appeared on a PBS Television Special "Going Home To Gospel” featuring Patti La Belle and Albertina Walker. In 1994 New G won their first Stellar Award for contemporary choir of the year and recorded all the background vocals for Gospel Queen Albertina Walker's Stellar Award winning album "He Keeps On Blessing Me." "It was a delight to work with the Queen," Dillard laughs just thinking of the experience. "She keeps me laughing." In 1995 New G's third album "Hallelujah" was released and the choir had its first club hit. They collaborated with Frankie Knuckles and Adeva on "Walkin'" from their "Welcome to the Real World'" album. The Virgin Records single became a Top 20 hit on Billboard magazine's club chart. By 1996 New G had moved to Detroit-based Crystal Rose Records. Their debut "Worked It Out" sold 30,000 pre-orders out of the box. The album quickly jumped to the Billboard gospel top ten and stayed on the chart for months. Then, in 2000 the group leaped back on the charts with the scorcher “No Limit” CD. The single “The Holy Place,” a classic choir vocal with a subtle hip-hop rhythm, buoyed the sales. In 2004, the group released top seller, “Unplugged…The Way Church Used To Be”, an album that revisited traditional church choir anthems and incorporated the “Ricky Dillard Sound”. 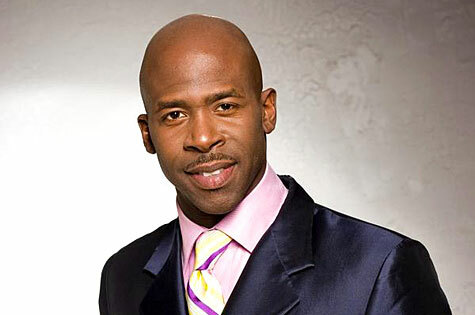 Ricky also, starting in the early 90's, began issuing solo albums (which often merged gospel with dance), including such releases as 1991's Promise, 1993's A Holy Ghost Take Over, 1995's Hallelujah, 1996's Worked It Out, and 2000's No Limit. In 2006, Ricky parted ways with Crystal Rose Records and started his own label, Animated Entertainment Inc. The first project from the label is the new Ricky Dillard & New G project entitled The 7th Episode: “Live in Toronto ” (2007 and Limited Deluxe Edition 2008). This historical project will definitely delight the ears of many as it truly defines a new level of ministry for Ricky & his aggregation.